The Academy’s Heartland Motors Lone Star Athlete Ashleigh Hill is again achieving some impressive results. Ash attended the NSW State Championships last weekend competing in both the female weight division and open division coming home with Gold for both! 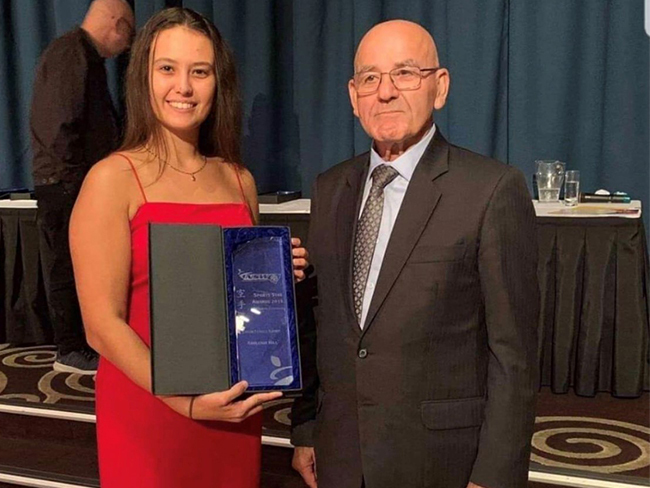 Not only is she continually building up her collection of Gold medals but Ash has also been named the 2019 Kumite Junior Sports Star of the Year. This was announced at the annual NSW state selection dinner on Saturday night.